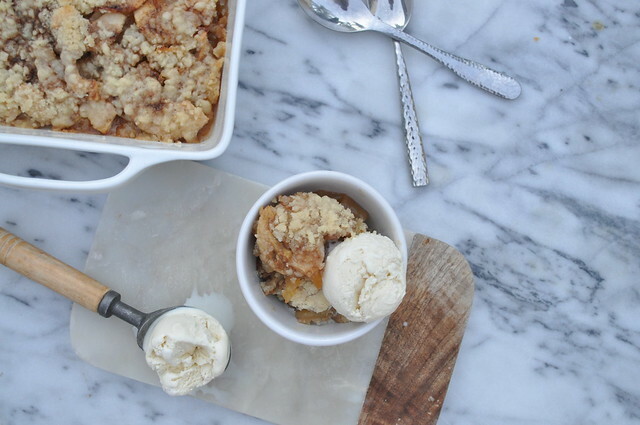 This is another dessert that was quick to make it to the oven, so the hands-on time is brief. The other positive…it takes almost an hour in the oven so your house will smell like Fall has arrived for a long time! I wish I knew more about Cornelia…hopefully someone with some scoop on the family history will chime in. 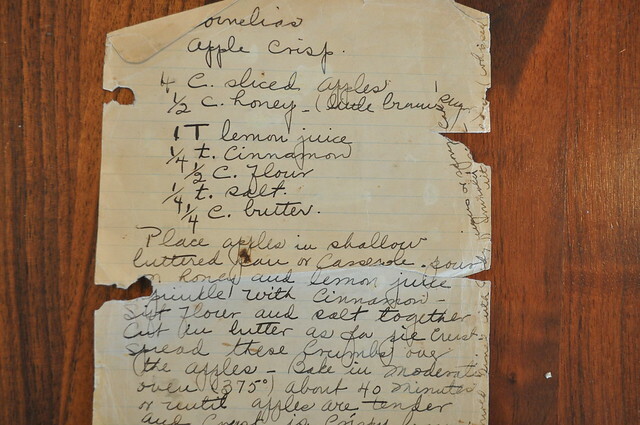 For now, all I can tell you is that the recipe was clearly written with a fountain pen on yellowed, crumbly, lined paper. When did they start making lined paper and three ring binders anyway?? 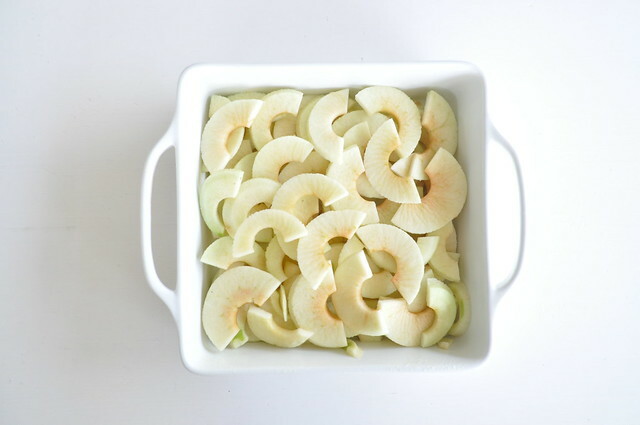 Place apples in a shallow buttered pan (8″ x 8″). 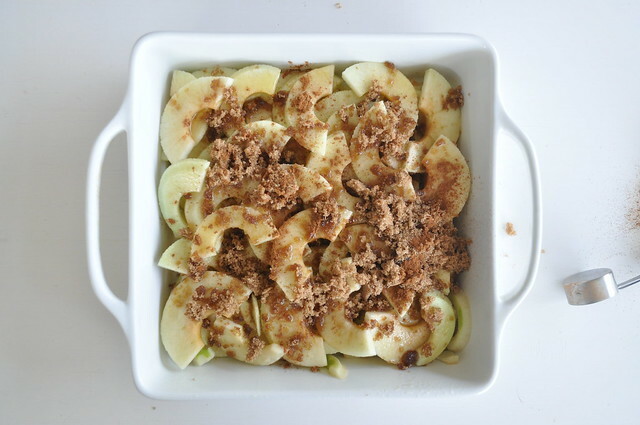 Drizzle lemon juice and honey over apples then sprinkle with brown sugar and cinnamon. 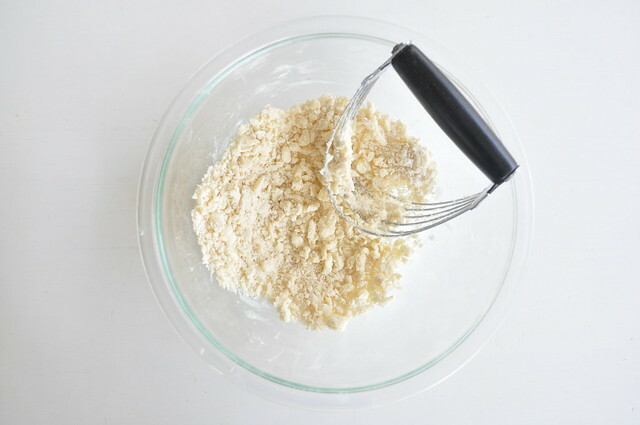 Stir flour and salt together then cut in butter until crumbly. Sprinkle over the apples. 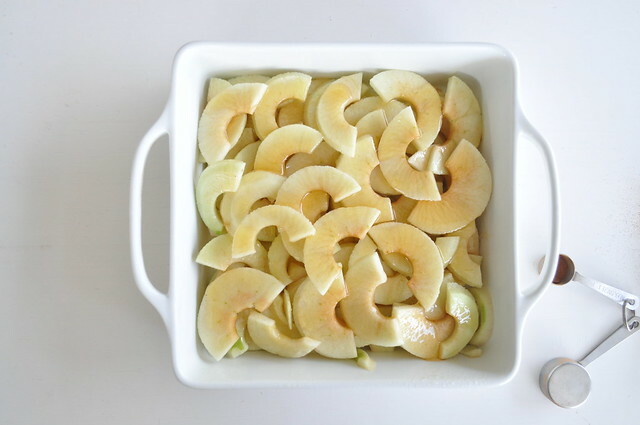 Bake for 40 minutes or until apples are tender and and crust is golden and crispy. 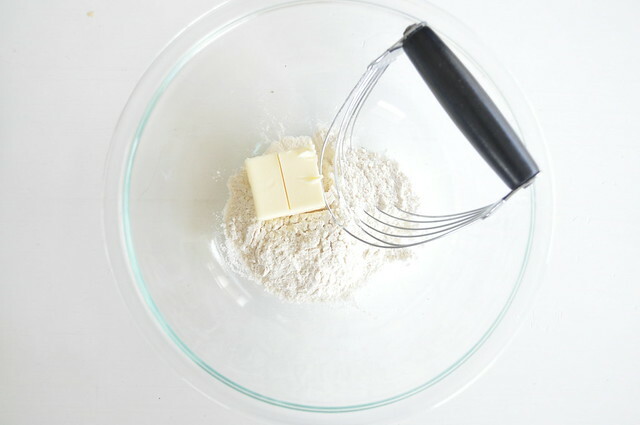 Stir the salt and flour together then cut in the butter. Once it is a crumbly and coarse, it is ready. 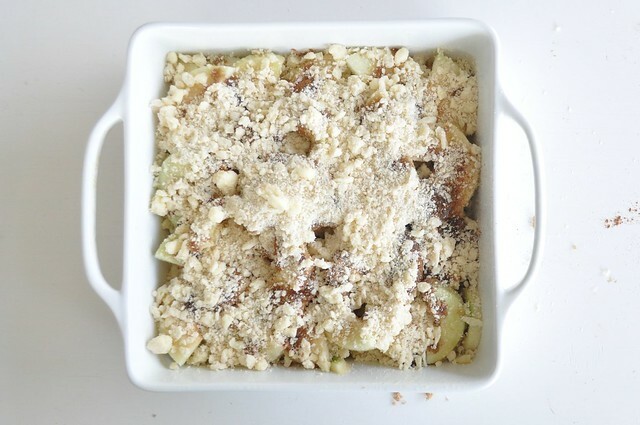 Butter the pan then layer the apples. Follow it up with the brown sugar and cinnamon. Serve it up a la mode, warm or room temperature…it is yummy both ways! I know this is far from a foodie question but seriously, when did lined paper come about?! Wow & yum! This looks easy to adapt to gluten free too. My mom says her parents still used fountain pens when they were in high school – late 30’s & 40’s. But the name Cornelia sounds SO Edwardian!